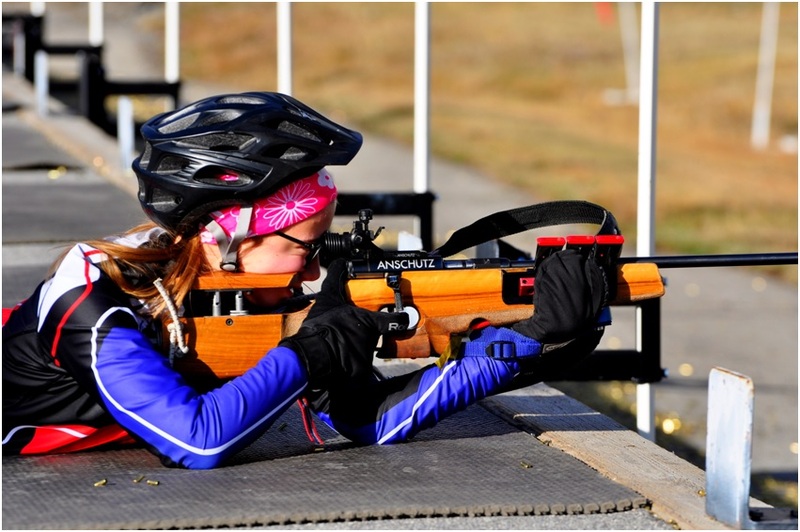 Why did you pick biathlon over other sports? It is more unique and more complicated than other also you get a gun so it’s kind of the obvious winner. How did you end up in CBR? So my neighbor had introduced my brother to it a few years ago and I also decided to do it and I turned out to really enjoy it. What is your least favorite training activity? My least favorite part of training would have to be pretty much anything with hills. What training activity you enjoy the most? I really enjoy the camps and team dinners after races. 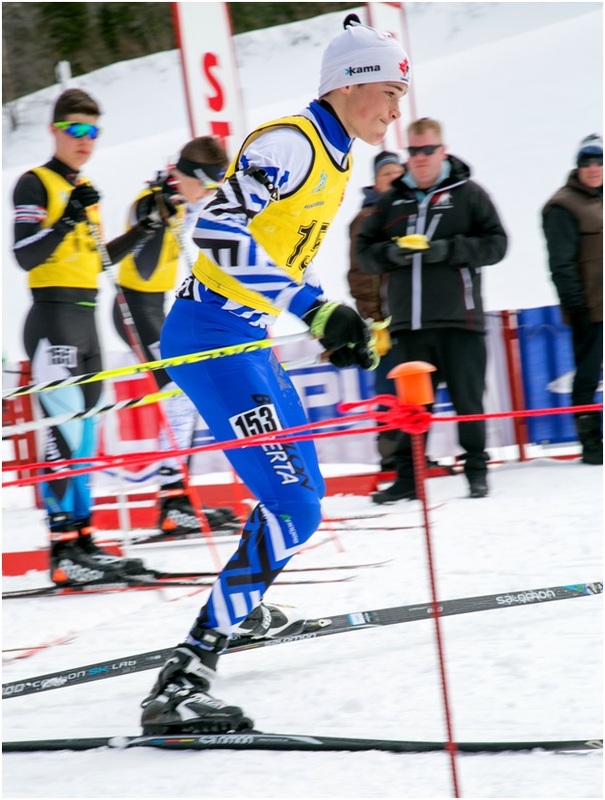 Did you or do you have a role model (does not have to be a biathlete, or an athlete for that matter) who inspires you as an athlete or individual? Zendaya for sure. She is so strong and inspiring. My gold medal race in Grand Prairie. What are your athletic aspirations? I hope to someday go to nationals. 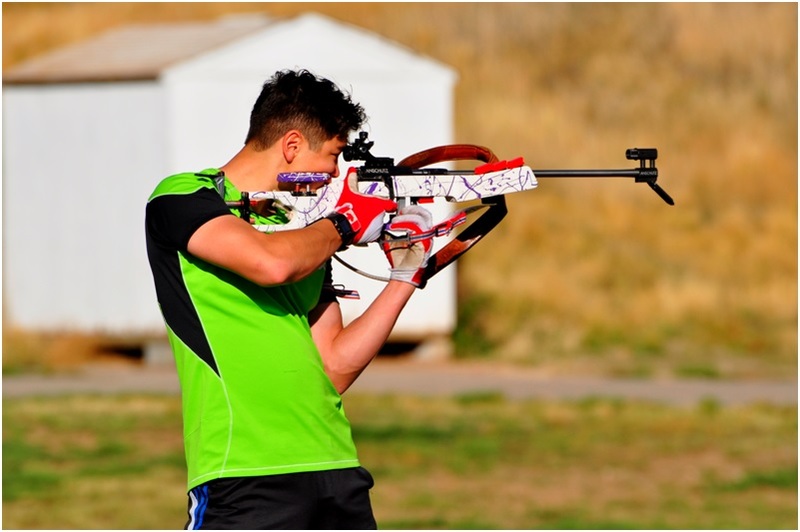 If you weren’t a biathlete what other sport would you be doing? I would probably be doing track or basketball? I’m not even sure. What are your interests outside of biathlon? I enjoy reading and writing and playing with my dogs. An interesting fact most people don’t know about you? Well usually my interesting fact is that I do biathlon but I’m sure you already knew that. The combination of patience in the range and speed on the race course, where both must be executed well to succeed. Part of the group of founding members. Circuit strength mixed with running with ski poles. Going somewhere new or trying a new activity, like a new place to bike or a new activity like paintball. Both of my coaches, who help motivate and push us every single day, while keeping things positive. Making Team Canada for Junior Cup and getting 53rd out of 112 in a Sprint race in Italy. Go to Junior World Championships and make the World Cup team, and eventually Canadian Olympic team. An outdoor sport, probably involving running or biking. The challenge biathlon presents with the combination of two very different sports that require both physical and mental strength. 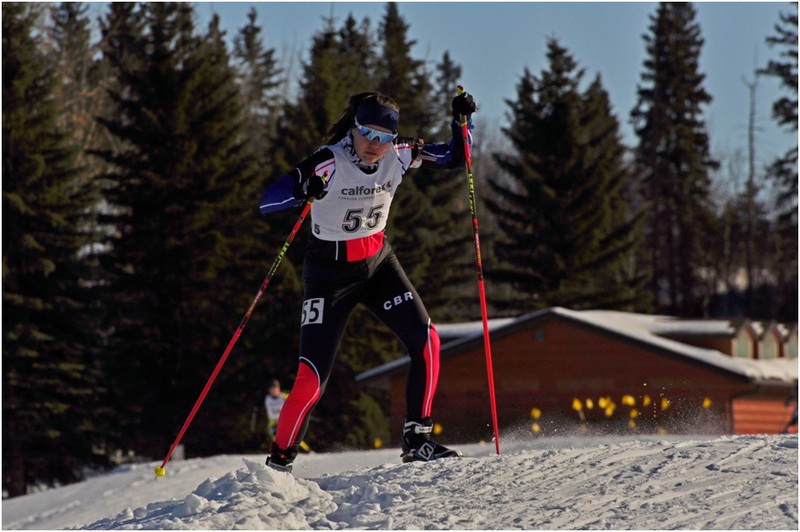 I chose CBR because it is a smaller club that is biathlon focused. 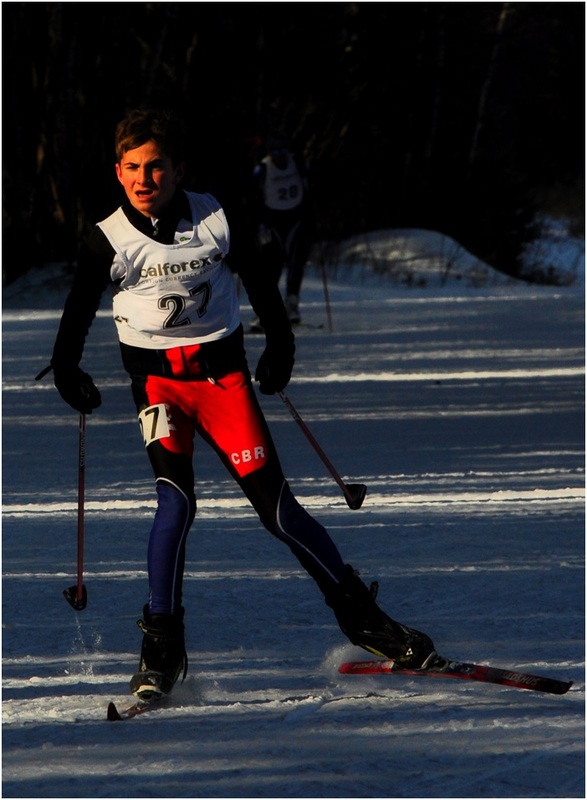 National Team member Brendan Green who is from Hay River, Northwest Territories. 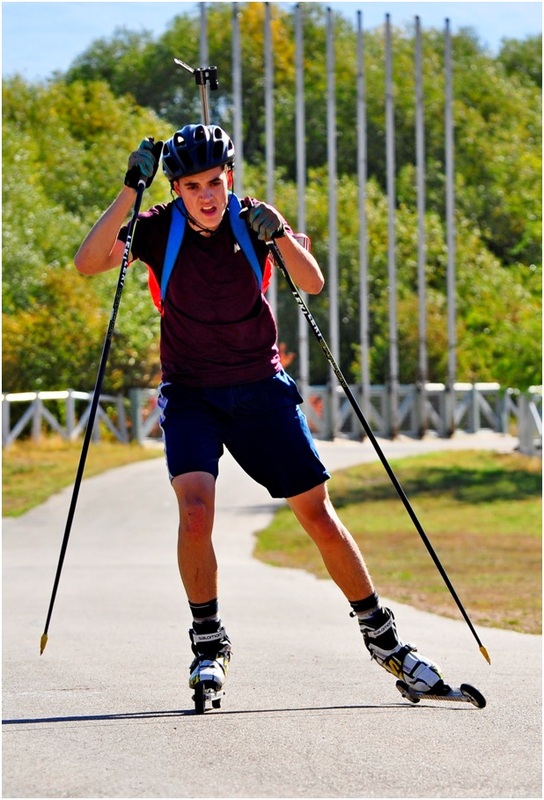 Just continuing to have fun with and grow in biathlon while going to school full time. In biathlon I shoot left handed although I am right hand dominant. Well there is a very long story that has a very simple answer. That answer is pretty much that I just thought why not give it a try I am a good skier and plus I’ll get to shoot a gun. (Music to the ears of a 11 year old boy) So here is the story. I was always a really small kid and kept getting beat up in sports like hockey and lacrosse. I had been a avid downhill skier my whole life before I joined biathlon and always had the dream of being a professional skier. ABC (Alberta Biathlon Club) always had a booth set up with a small air rifle range at the Calgary ski show. Me and my family went to this show most years and I would always shoot at the ABC both. One year Airat and Gregg MacCulloch started a conversation with my parents and we decided that I would give it a try. The next day I registered in my first kinder cup, went to the store and bought my first pair a XC skis, boots, and poles. When I showed up to Canmore that night and put my xc skis on for the first time, I quickly realized I had no idea what I was doing, but man was it fun. 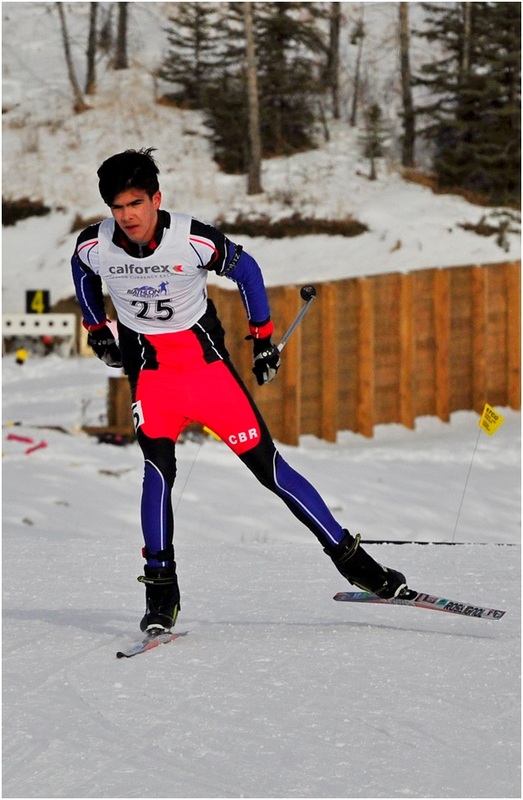 And after that I began training with Airat in Biathlon Bears and well the rest is history. I ended up in CBR because of a lot of events that took place during a year training with foothills. I’ll spare the details but we wanted a serious training environment that was going to help push us to be better athletes. Providing us with full time coaches that put in the effort that would hopefully take us, a group of 13 year olds to the olympics one day. That was the idea behind CBR, training to be olympians from day 1. I would have to say roller skiing with the tire. Mountain biking in the summer and long distance/adventure skis in the winter. My coach is definitely an inspiration for me. He has believed in me since day 1 and always put the effort into my training and preparations before I leave for major competitions. This effort that I see him put in makes me want to always try harder and put my best effort in, even when I want to do nothing with training. Another inspiration of mine is Johannes Thingnes Boe because of the effort he puts in and the go for it attitude where he has no fear. 5th place in the relay at 2016 youth world championships. Also consistent top 30 finishes at 2018 junior world championships. I have bet Petter Northug 2 times he has beat me once. To one day represent Canada at the olympics and stand on a world cup podium. I would probably be a downhill skier or a mountain bike racer. Food, film making, climbing, mountain biking, downhill skiing, anatomy, sports performance. It was a sport I had never heard of before the 2010 Olympic Games, and during those games, I remember thinking that biathlon was the most entertaining sport to watch, combining the physical demands of cross-country skiing, and the precision of shooting. Again, during the 2014 games, biathlon was my favourite sport to watch, and decided to finally give it a try. Best decision of my life! 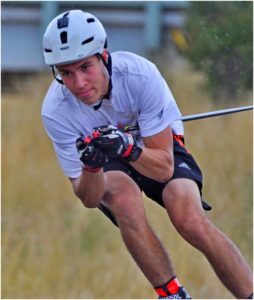 During the Canadian National Championships in Canmore Alberta, one of my roommates Chad was a member of CBR, and after talking to him quite a bit, the training and the structure of the club felt very sophisticated and built for high performance, and I decided to join the following season. Hiking is definitely my least favourite training activity, it’s just slow walking in the mountains. Long rollerskis in the summer. By far the most enjoyable training activity. My dad is for sure one of my biggest role models. Having been a professional alpine skier for Team Poland, and qualifying for the Calgary ’88 games but never getting the chance to race due to injury, I want to complete the family legacy. Also seeing how hard he works to be able to support my training and racing always pushes me to try harder. Another one of my role models would be Olympic great Ole Einar Bjørndalen. Being the most decorated Winter Olympian of all time, and seeing what he is able to do at 43 is incredible, and inspiring to see his dedication to the sport. Double silver at the 2017 Canadian National Championships in the 7.5km Individual as well as the 3X6km relay for Senior. Representing Canada on the World Cup, as well as at the Olympic Games for 2026, which will hopefully be held in Calgary. Road biking is my 3rd favourite sport behind biathlon and cross-country skiing, so I think I’d be a cyclist. Traveling to new places and learning about other culture, as well as hanging out with friends. I never feel like I’m doing enough to be the best I can be. I thought it was sure interesting and unique compared to other sports. I was a part of biathlon bears in foothills when I was invited to join the group. Definitely the games we play on the daily basis. 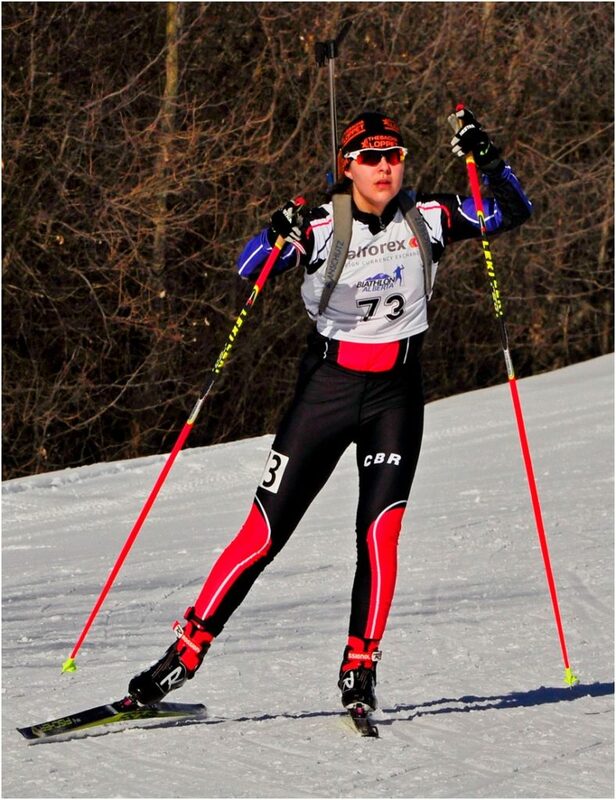 Yes, my role model was my aunt who competed in the Olympics twice for biathlon. In 2017 I came second in the national championships. Attending the 2020 Youth Olympics in Lausanne, Switzerland. Probably either hockey or freestyle downhill skiing. I enjoy to downhill ski, mountain bike, and road bike in my free time. Also I love doing homework and reading long books! I can put both of my feet behind my head at the same time!